Discussion in 'Developer Diaries' started by GoodOl'Ben, Oct 29, 2015. Midgee, TeKilla, Jorge and 8 others like this. I sense an update in the force. [SO]Bane and Zed like this. Revolver Ocelot, Phelps, Hexodious and 1 other person like this. The new saber desing is absolutely ridiculous. 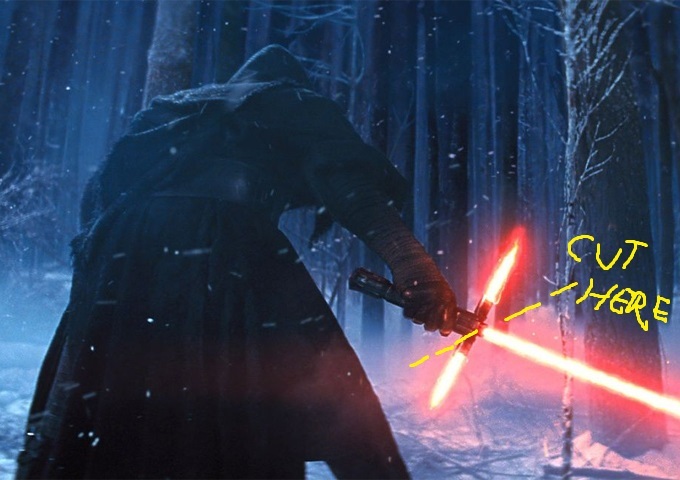 ALl Boyega would have to do is aim at the metal parts of the crossguard and BOOM The saber is cut in 2. It has no practical use at all. Looking forward to seeing it in MB2 though. Revolver Ocelot and Cat Lady like this. The new saber desing is absolutely retarded. ALl Biyega would have to do is aim at the metal parts of the crossguard and BOOM The saber is cut in 2. It has no practical use at all. Looking forward to seeing it in MB2 though. I really disliked the design at first too. Then I kinda fell into the hypepit and I've been dreaming of doing dirty things to Kylo Ren ever since. I'll take his lightsaber any time. Cortosis isn't canon anymore I think.